Hitler and Stalin sign a ten year non-aggression pact. In this they agree to not attack one another and they split up parts of Europe for conquering. Neither of the countries wanted the other as an adversary. Later, hilter ends up betraying stalin and invading the USSR anyway. Blitzkrieg- is an anglicized word describing all-motorized force concentration of tanks, infantry, artillery, combat engineers and air power, concentrating overwhelming force at high speed to break through enemy lines, and, once the lines are broken, proceeding without regard to its flank. Many British soldiers were trapped in the port city of Dunkirk. With the sea behind them and the enemy in front, they had nowhere to go. And then, in one of the most heroic acts of the war, the British navy came and rescued 338,000 battle jaded soldiers to safety. Winston Churchill- The British prime minister. He declared his nation would never give in. The air campaign waged by the German Air Force (Luftwaffe) against the United Kingdom during the summer and autumn of 1940. Charles De Gaulle- De Gaulle was the most senior French military officer to reject the June 1940 armistice to Nazi Germany right from the outset. He was also one of the few successful armored counter-attacks during the 1940 Battle of France. By June 14, the Germans took control of Paris. Accepting the inevitable, French leaders surrendered. Operation Barbarossa- The code name for this operation. Was the code name for Germany's invasion of the Soviet Union during the Second World War. Beginning on 22 June 1941, over 4 million soldiers of the Axis powers invaded the USSR. Stalingrad- Is an important industrial city and the administrative center of Volgograd Oblast, Russia. 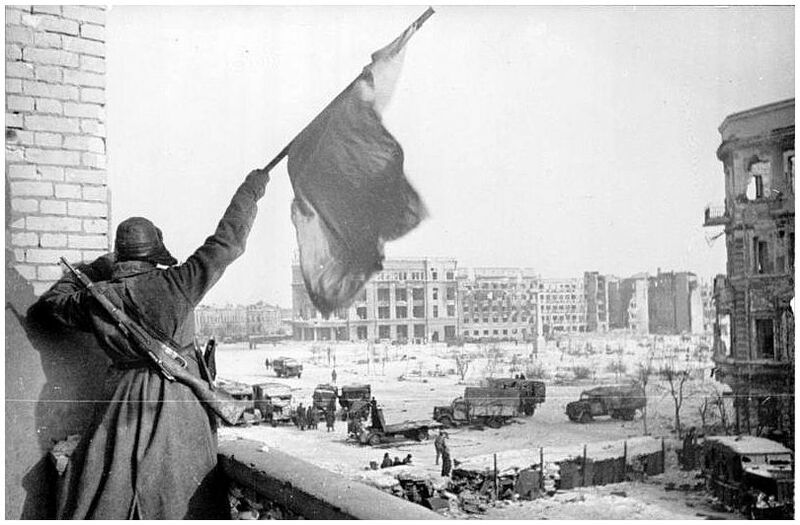 Was a major and decisive battle of World War II in which Nazi Germany and its allies fought the Soviet Union for control of the city of Stalingrad (now Volgograd) in the southwestern Soviet Union. Operation Torch- The code name use by the allies for this operation. Was the British–American invasion of French North Africa in World War II during the North African Campaign, started on 8 November 1942. 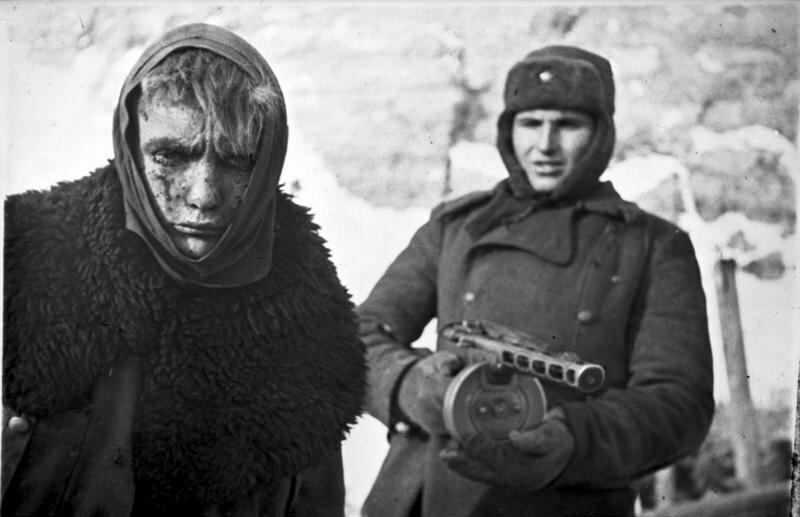 The last of the German forces fighting at Stalingrad surrender, despite Hitler's earlier declaration that "Surrender is out of the question. The troops will defend themselves to the last!" 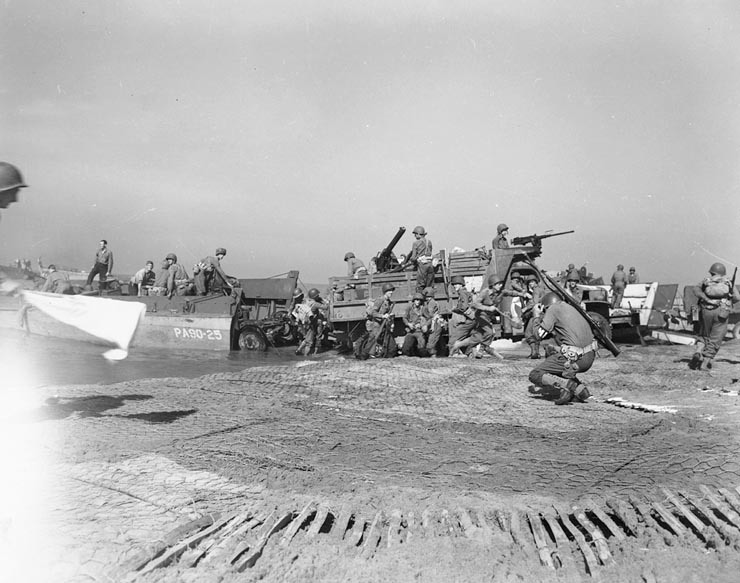 The Allied Invasion of Italy was the Allied landing on mainland Italy, by General Harold Alexander's 15th Army Group during the Second World War. D-day- Code name for this day. The Invasion of Normandy was the invasion and establishment of Allied forces in Normandy, France, during Operation Overlord in 1944 during World War II. At the time it was the largest amphibious invasion to ever take place. 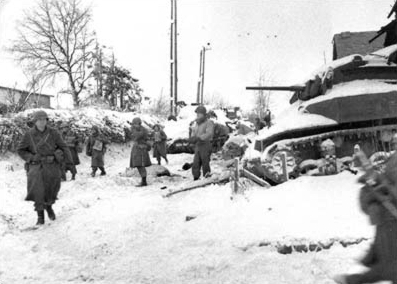 The Battle of the Bulge was a major German offensive launched through the densely forested Ardennes mountain region of Wallonia in Belgium, and France and Luxembourg on the Western Front towards the end of World War II. V-E Day- Name for this day. 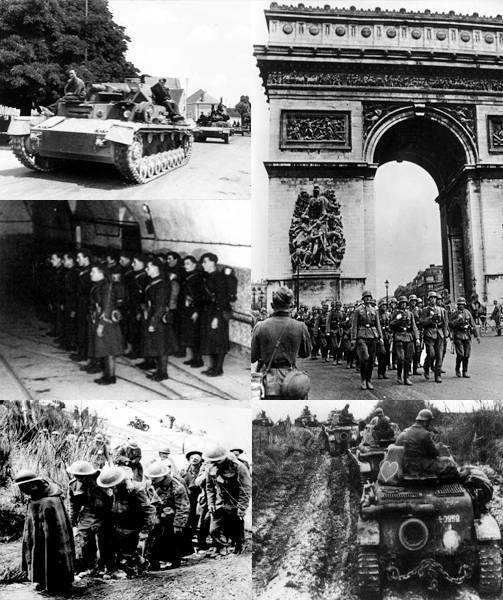 The final battles of the European Theatre of World War II as well as the German surrender to the Western Allies and the Soviet Union took place in late April and early May 1945. Isoroku Yamamoto- Was Japan's greatest naval strategist. Called for an attack on Pearl Harbor. 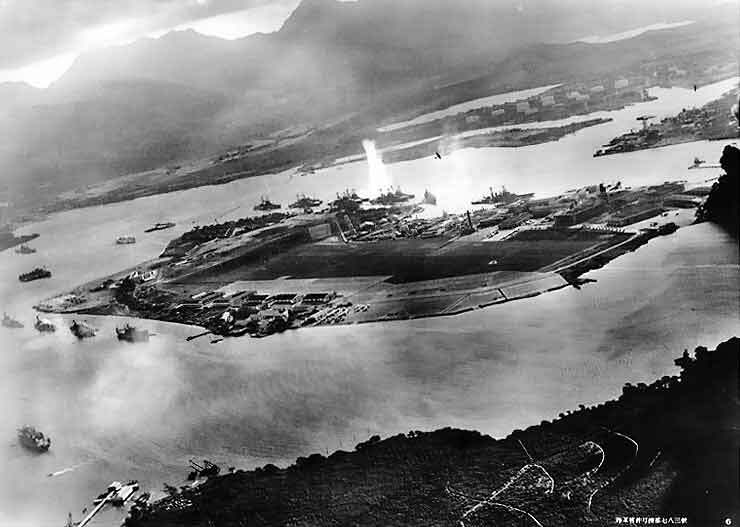 In the early morning, the sailors at Pearl Harbor, in Hawaii, awoke to the sound of bombs. Japan had attacked the United State. 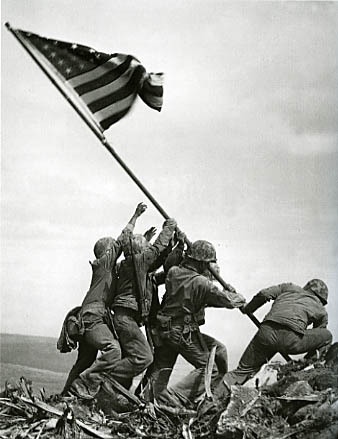 The result was 2,402 Americans were killed and a major tactical victory for Japan. he United States Congress declared war upon the Empire of Japan in response to that country's surprise attack on Pearl Harbor the prior day. It was formulated an hour after the Infamy Speech presidential address of Franklin D. Roosevelt. It was the forcible transfer by the Imperial Japanese Army of 60-80,000 Filipino and American prisoners of war after the three-month Battle of Bataan in the Philippines during World War II. All told, approximately 2,500–10,000 Filipino and 100-650 American prisoners of war died before they could reach Camp O'Donnell. Was a major naval battle in the Pacific Theater of World War II between the Imperial Japanese Navy and Allied naval and air forces from the United States and Australia. The battle was the first action in which aircraft carriers engaged each other, as well as the first in which neither side's ships sighted or fired directly upon the other. was the most important naval battle of the Pacific Campaign of World War II. Only six months after Japan's attack on Pearl Harbor, and one month after the Battle of the Coral Sea, the United States Navy decisively defeated an Imperial Japanese Navy attack against Midway Atoll, inflicting irreparable damage on the Japanese fleet. 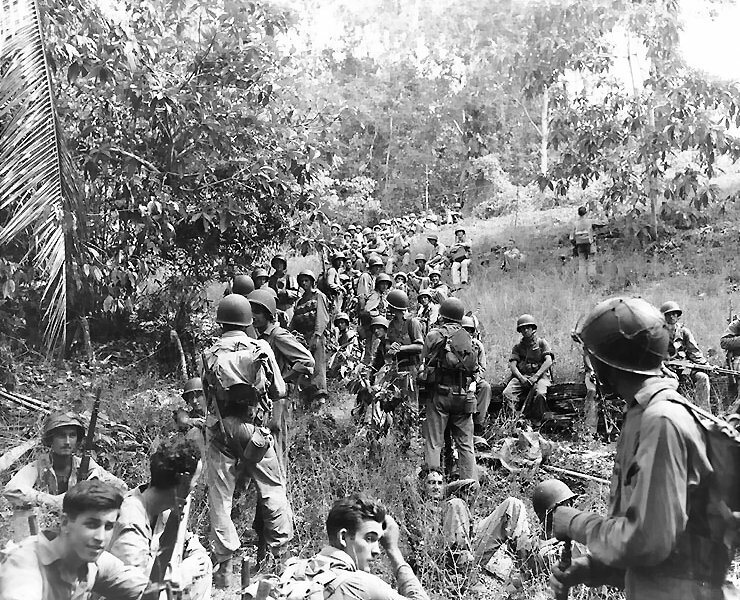 The landing at Guadalcanal was unopposed - but it took the Americans six months to defeat the Japanese in what was to turn into a classic battle of attrition. Kamikazes- "Divine wind." were suicide attacks by military aviators from the Empire of Japan against Allied naval vessels in the closing stages of the Pacific campaign of World War II, designed to destroy warships more effectively than was possible with conventional attacks. It was fought in waters near the Philippine islands of Leyte and Samar, between combined US and Australian forces and the Imperial Japanese Navy. On 20 October, United States troops invaded the island of Leyte as part of a strategy aimed at isolating Japan from the countries it had occupied in Southeast Asia, and in particular depriving its forces and industry of vital oil supplies. Despite the bloody fighting and severe casualties on both sides, the Japanese defeat was assured from the start. The Americans possessed an overwhelming superiority in arms and numbers. These factors, coupled with the impossibility of Japanese retreat or reinforcement, ensured that there were no plausible circumstances in which the Americans could have lost the battle. On April 1, US troops moved onto the island of Okinawa, only about 350 mile from southern Japan. The Japanese put up a desperate fight. Nevertheless, on June 21, one of the bloodiest land battles of the war ended. Manhattan Project- The Manhattan Project was a research and development project that produced the first atomic bombs during World War II. It was led by the United States with the support of the United Kingdom and Canada. By the end of July 1945, the Imperial Japanese Navy was incapable of conducting operations and an Allied invasion of Japan was imminent. On August 8, 1945, the Soviet Union declared war on the Empire of Japan, and soon after midnight on August 9, 1945, the Soviet Union invaded the Imperial Japanese state of Manchukuo. 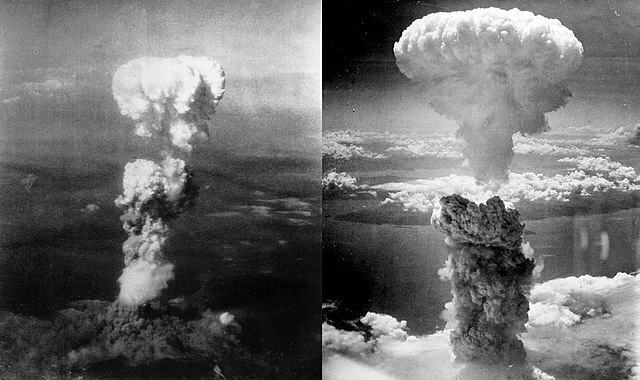 Later that day, the United States dropped another atomic bomb, this time on the city of Nagasaki. The combined shock of these events caused Emperor Hirohito to intervene.